This year marks the 75th Anniversary of the beginning of the World War II mass incarceration of West Coast Japanese Americans. Since few of today’s policy makers have personal experience with these events, some may be tempted to rely on this “precedent” to try to justify various actions against Muslims or others suspected of being terrorists. Conversely, others may become too complacent in thinking that the registration or widespread incarceration of Muslims could never happen in the United States today. I feel that those Japanese Americans like me who have some personal connection to the World War II incarceration experience should speak out to provide a “living history” of these events. By putting names, faces and stories to the narrative, we can help force politicians to understand that their words and conduct are not theoretical but impact real lives. And by explaining the circumstances once used to justify this incarceration, we can point out the current parallels and warn others to take a stand against any similar encroachment of civil liberties. My family’s history in America began in 1907 when my grandfather Kunitomo Mayeda emigrated from Japan. 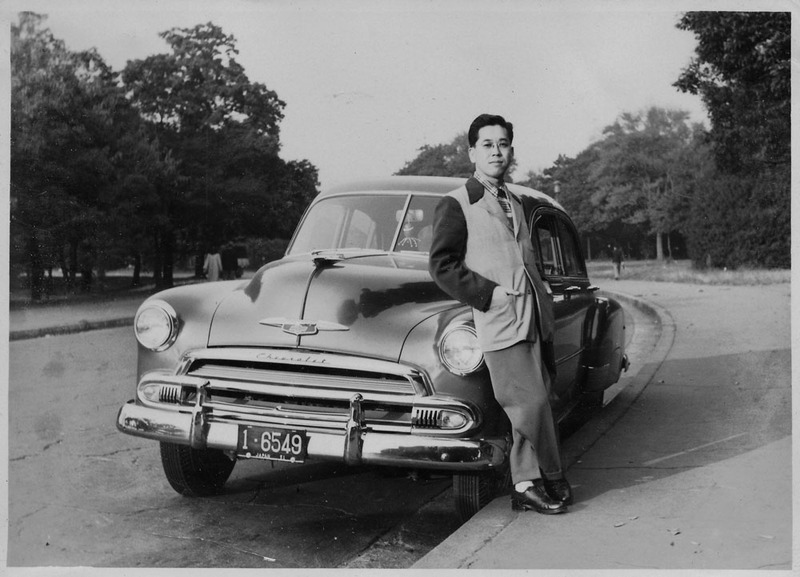 He was only 16 years old but had aspirations to study English and become a diplomat to promote better relations between Japan and the United States. As is so often the case for new immigrants, such dreams were never realized. Instead, Kunitomo became a house boy and a cook, and was once employed as a chef at the world-famous Hotel del Coronado. 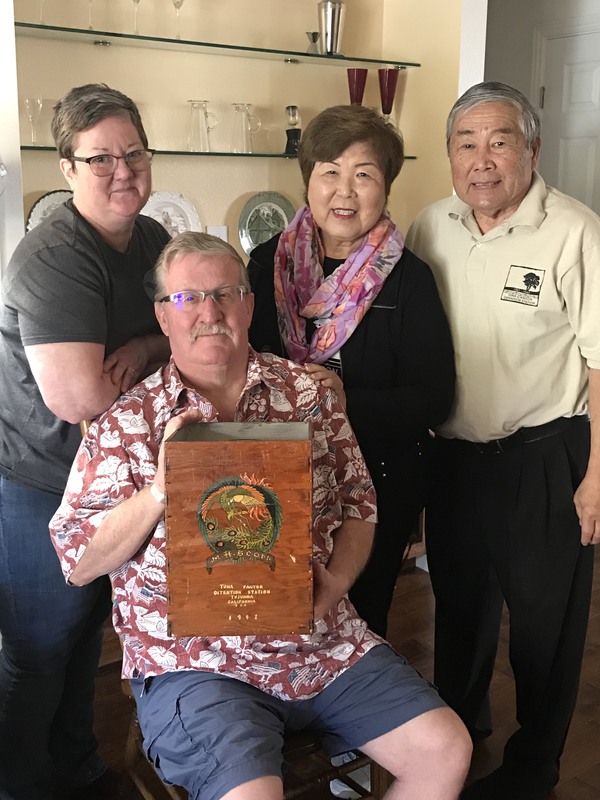 He then got into farming and eventually leased virgin land (Japanese immigrants were not permitted to own land) in the Otai area of San Diego to plant celery and tomatoes. He tilled the fields, installed irrigation ditches, created roads, and built a house. But then the Great Depression hit and he lost nearly everything. In the meantime, five kids were born including my father Ray, born in 1922 in San Diego. But in the mid-1930s, Ray’s mother passed away. 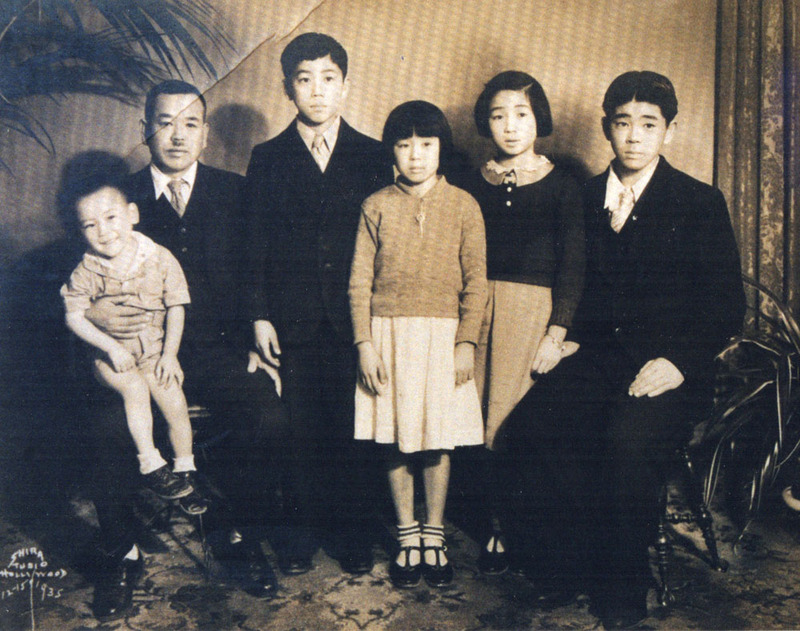 Kunitomo was unable to work and also raise five kids, so the family (except for eldest son Al) moved back to Japan. Kunitomo remarried but eventually returned to San Diego in 1937 and began working as a gardener. 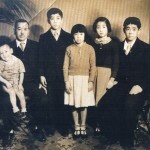 Kunitomo’s second wife remained in Japan to raise the children. A few years later, Ray also re-joined his father and brother Al, and enrolled in school. At Coronado High School, there were only about 10 Japanese American students out of about 400 in the student body. But my uncle Al was a star running back on the football team and a “big man on campus.” My father Ray was student body treasurer, on the staff of the school newspaper, and ran hurdles on the track team. It was basically an All-American existence. But then, the Japanese attacked Pearl Harbor and everything crumbled around the Mayeda family. About three months after the Pearl Harbor attack, my father, an American teenager, was left “home alone.” His sisters Yoko and Moriko, and a younger brother Frank, were still living with their stepmother in Japan. His older brother Al had enlisted in the U.S. Army within weeks of Pearl Harbor. So it was just my father Ray and his father Kunitomo, living in the Coronado Island area of San Diego in the uncertain days on the West Coast after the Pearl Harbor attack. My grandfather Kunitomo was a leader in the local Japanese Association, a group that tried to help newly arrived immigrants and to maintain cultural ties among the Japanese Americans in San Diego. Within a few weeks after Pearl Harbor, however, the FBI came to question Kunitomo and ransacked the house. “Ray,” my grandfather one day warned my father, “there may come a day when you get home from school and I won’t be here.” Kunitomo was a gardener in his 50s, hardly a rabble rouser or other threat to America. But he knew he looked like the enemy and, unlike his sons, was an Issei, a Japanese immigrant who was forbidden by law from becoming a U.S. citizen. Kunitomo had the foresight to realize that he might be picked up for further questioning or held by the government, so he prepared my father. “I have money, American dollars, and I’m going to sew it inside the linings of coats that are hanging in the closet. If I’m not here, rip open the seams and you can live off that money until I come home or you can get a job. You can also seek help from our neighbor,” a kind Mexican American family who was responsible for my father’s love of Mexican food. Sure enough, one day in March 1942, Ray came home from high school to find the house empty, his father Kunitomo nowhere to be found. Then, within three weeks, Ray himself was forced to leave San Diego and join 120,000 other Americans of Japanese ancestry on the West Coast, to eventually live in so-called “relocation camps” in compliance with Executive Order 9066 signed by President Franklin D. Roosevelt. In reality, these were American-style concentration camps imprisoning both citizens (American-born “Nisei,” second generation like my father) and aliens (foreign-born, first generation “Issei” like my grandfather) without due process for nearly the duration of World War II. I know my father Ray was initially taken from San Diego to a temporary facility on the grounds of the Santa Anita racehorse tracks. He told me of living in a converted horse stable that reeked of manure while the larger camps were being built inland. Eventually, Ray was shipped off to live in one of the three Poston, Arizona camps. Since he had no family with him, he had to live in a barracks with a bunch of middle-aged bachelors. I never learned from my father where his father was taken after he was arrested in San Diego—other than that Kunitomo ultimately ended up imprisoned in a Department of Justice prison camp in Santa Fe, New Mexico. Beyond that, I don’t recall my father telling me any more about what happened to my grandfather. Since my father passed away in 2014, I now can’t ask him. But I did recently learn more about my grandfather Kunitomo through a series of fortuitous coincidences. In April, I was visiting the Japanese American National Museum in Los Angeles for an exhibit on Executive Order 9066, which set in motion the incarceration of Japanese Americans. As I was about to leave the building, I saw that there was a temporary exhibit about something called the Tuna Canyon Detention Station, about which I knew nothing. Tuna Canyon was located in the Tujunga area of Los Angeles. It was a temporary facility used in World War II to house mostly Japanese immigrants but also some Italian and German immigrants who the government believed were immediate threats to public safety. These included “community leaders” such as Japanese language teachers, Buddhist priests, businessmen, and others. These individuals, along with tens of thousands of others throughout the U.S., were part of a government roundup of alleged risks to national security that began just after Pearl Harbor and largely preceded the incarceration of all West Coast Japanese. As I read the exhibit boards and watched oral histories, it suddenly dawned on me that perhaps my grandfather had been detained at Tuna Canyon. At the end of the exhibit, there was an “Honor Roll” listing the names of each detainee who was held at Tuna Canyon in violation of their constitutional rights. Sure enough, I saw the name “Mayeda, Kunitomo.” So, I surmised, after Kunitomo was arrested in San Diego, he was sent to Tuna Canyon before being transferred to Santa Fe. My post about this discovery was seen by my Facebook friend June Aochi Berk, who is one of the leaders of a coalition to keep alive the history of the Tuna Canyon Detention Station. June asked for my approval to give Kunitomo’s name to Russell Endo, a member of this coalition and a retired University of Colorado professor who was conducting research at the National Archives in Washington, D.C. A few weeks later, Professor Endo emailed me that he found some three dozen pages of documents about my grandfather in the National Archives. The Professor then started sending copies of documents to me in small batches. The FBI is after my grandfather. The very first document took my breath away. It is a memo on FBI letterhead dated February 20, 1942 to the Director of the “Alien Enemy Control Unit” specifically referencing “George Mayeda, alias Kunitomo Mayeda”—my grandfather. The memo recommends the issuance of a Presidential Warrant for the arrest of Kunitomo and it is hand-signed by none other than FBI director J. Edgar Hoover. And what is the basis for Mr. Hoover’s conclusion of urgency that my grandfather should be arrested, even before the general incarceration of Japanese Americans from the West Coast takes place? It is because: (1) Kunitomo was a director of the San Diego Japanese Association and recommended uniting that organization with another called Hokoku-Kai, which the FBI apparently suspected of harboring immigrants loyal to Japan; (2) his wife and two daughters reside in Japan; (3) one of his sons—my father—was a member of an organization called the Military Virtue Society of Japan in North America, a group that practiced traditional Japanese martial arts such as Butoh and Kendo; and (4) “it is reported that a spotlight, coming from the direction of [Kunitomo’s] home, was flashed upon the Coronado, California city water supply tank during two blackouts” after Pearl Harbor. Based on his research and his own grandfather’s experiences, Professor Endo believes these hearings were designed more to justify the subject’s arrest and continued imprisonment than to assess any actual risk of disloyalty to America. There was no due process and no defense counsel allowed. A family member was permitted to attend the hearing but in Kunitomo’s case, he had no one present to help. So apparently, the hearing relied principally on an FBI Report on my grandfather. The FBI Report is 15 pages long, single-spaced. It is notable both for its detail as well as the lack of any significant evidence against Kunitomo. 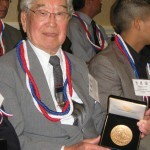 On the one side was the fact that Kunitomo once gave a speech urging the merger of the San Diego Japanese Association and the San Diego Hokoku-Kai; that a “Confidential Informant” advised the FBI that a week after Pearl Harbor, “a reliable informant” had reported to the first informant that during blackouts on December 10 and 11, 1942, “someone turned a powerful spotlight onto the high-water tank located . . . at Coronado, California;” and that Kunitomo had once given thirty dollars to the “long-term military relief fund” that was sent to Japanese Army and Navy relief ministries in Tokyo. 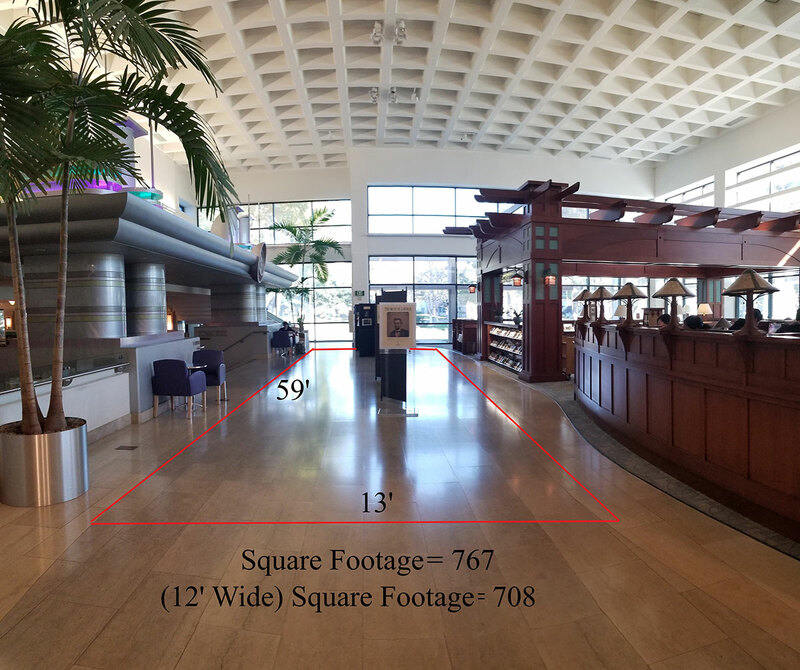 Despite a thorough search of Kunitomo’s home, exposing a roll of film found on the premises, and translating a dozen letters written in Japanese found at the home, the FBI turned up nothing that could be used against Kunitomo. Indeed, another section of the report indicates that the caretaker of the aforementioned water tank advised that “the light was not a powerful spotlight but was apparently from an ordinary flashlight” and that it was not on long enough to trace back to the original source, other than to note that Kunitomo’s house was a block away from the water tower. Professor Endo believes these hearings were conducted with the reversal of the usual presumption of innocence; instead, the detained “enemy aliens” were presumed to be guilty of complicity with the Japanese enemy unless they could prove their innocence. Since Kunitomo was not able to prove his loyalty to the satisfaction of a government that was inclined to view all Japanese as suspicious, he was held for the duration of the war. My grandfather eventually asked to be repatriated to Japan where he could be with his wife and three of his kids. He knew that this meant separation from and possible estrangement with his two eldest sons—one in the U.S. Army and the other, my father, having left the Poston camp in 1944 to enroll in college in Chicago. But Kunitomo felt he had little choice since he had been imprisoned by the government for years without charges, experiencing the full brunt of racial discrimination in its purest form. The Mayeda family story is like that of so many others during the war; each with its own traumas and challenges but most sharing deep pain, financial loss and brutal family conflicts. Over 120,000 Americans lost their homes, businesses, personal belongings, and most valuable of all, their sense of personal dignity. Many, including my father, had difficulty speaking about their experiences being incarcerated. Even though they did nothing wrong, many internalized a sense of shame for decades after the war. For as long as I can remember, my father would conspicuously display an American flag at our house on all national holidays. 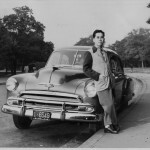 Throughout my childhood, our family car was always an American model—Chevrolet, Buick, Chrysler, Cadillac—even as Toyotas and Hondas were becoming popular, especially in Los Angeles. It only occurred to me much later in life that my father seemed to avoid being associated with Japanese products. It was not until 1988, after President Reagan signed legislation providing a formal apology from the government for the mass incarceration and token monetary reparations, that my father began to speak more about his experiences during the war. The Civil Liberties Act of 1988 officially proclaimed the wartime confinement of Japanese Americans under Executive Order 9066 was a “grave injustice…motivated largely by racial prejudice, wartime hysteria, and a failure of political leadership.” It was almost as if my father was now freed from the shame that he had felt from being locked up by the government. The stigma caused by the mass incarceration had a major impact on the Japanese American community, although affecting each family in different ways. But it demonstrates the powerful, multi-generational impact that the full force of governmental action can have when targeting particular communities. It is now widely accepted that the forced relocation and incarceration of Americans of Japanese ancestry living on the West Coast during World War II was one of the biggest blights on the Constitution in our nation’s history. No Japanese American, citizen or alien, was ever convicted of espionage, sabotage, collaboration with the enemy, or similar charge during the war. 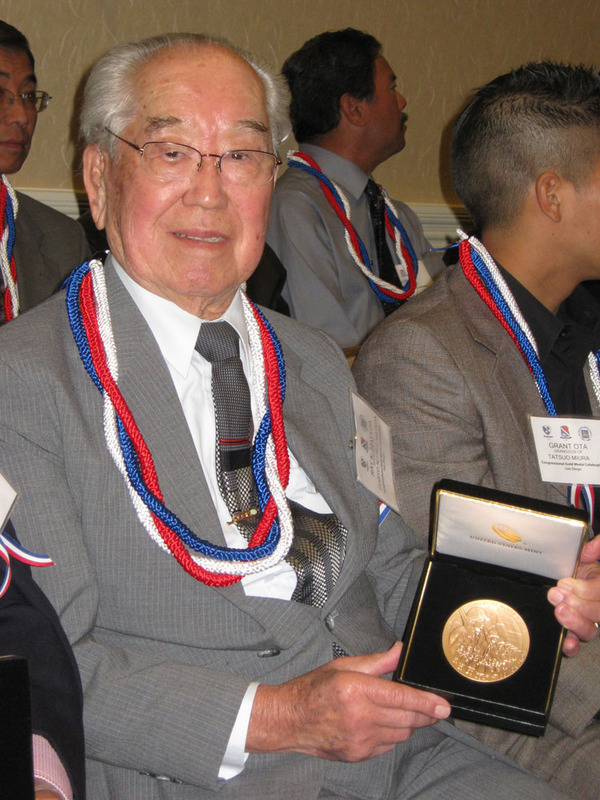 Conversely, thousands of Japanese American Nisei (including my uncle Al Mayeda) served in the 442nd Regimental Combat Team, the 100th Infantry Battalion, or the Military Intelligence Service, proving their loyalty to the United States and suffering tremendous casualties, even as their parents were kept behind barbed wire on American soil. Can anyone say with confidence that President Trump’s reaction to a major terrorist attack in the United States by Muslims would elicit a similar measured response? Based on his past statements and conduct, it seems far likelier that President Trump’s response to a major terrorist attack on his watch would veer closer toward World War II-era curfew and internment orders than toward urging restraint and strict adherence to the Constitution’s Bill of Rights. And if an effort were made to register, imprison and/or conduct surveillance of Muslim Americans, the Japanese American experience teaches that even mundane activities such as studying Arabic, exchanging letters with relatives in the Middle East, being a leader in a mosque, or maintaining cultural traditions from a predominantly Muslim country could be deemed suspicious and provide cause to trigger “if you see something, say something” reporting. In such event, it will be incumbent upon all American patriots, those who value the Constitution and its guarantees, to speak out against any such failure of political leadership. And it will be crucial at that time to listen to the stories of the Americans of Japanese ancestry who have personal experience with the dangers of racial prejudice and wartime hysteria. We love this country and cherish the Bill of Rights, and our family stories contain profound lessons that must be retold to safeguard the constitutional liberties of all Americans. The entire family apparently taken about 1935 at or around the time of the memorial service of Kunitomo’s wife/Ray’s mother. Pictured, L-R, are: Frank, Kunitomo, Ray, Yoko, Moriko and Al. My uncle Al is the older brother who enlisted in the U.S. Army right after Pearl Harbor. Ray holding his brother Al’s Congressional Gold Medal, awarded about 2012. Al passed away sometime in the 1980s. Ray missed out on getting his own CGM by one day; apparently, official records show Ray started at Military Intelligence Service training on 1/1/46. Dan Mayeda is the eldest son of Theresa (who was born in Chiba, Japan) and the late Ray Mayeda (who was born in San Diego). Dan considers himself a Sansei. He is a graduate of North High School in Torrance, UCLA and UCLA Law School. Dan practiced communications law and entertainment/media industry litigation for 35 years, most recently as a partner in a Century City law firm. Last January, he was appointed Associate Director of the Documentary Film Legal Clinic of the UCLA School of Law, where he trains and supervises law students to provide pro bono legal services to independent filmmakers. Dan has been a longtime advocate for accurate and sensitive depictions of Asian Americans in the media. Since 2000, Dan has helped lead a national multi-ethnic coalition of civil rights and media activism groups to persuade the four major television networks to increase diversity on screen and behind the scenes. 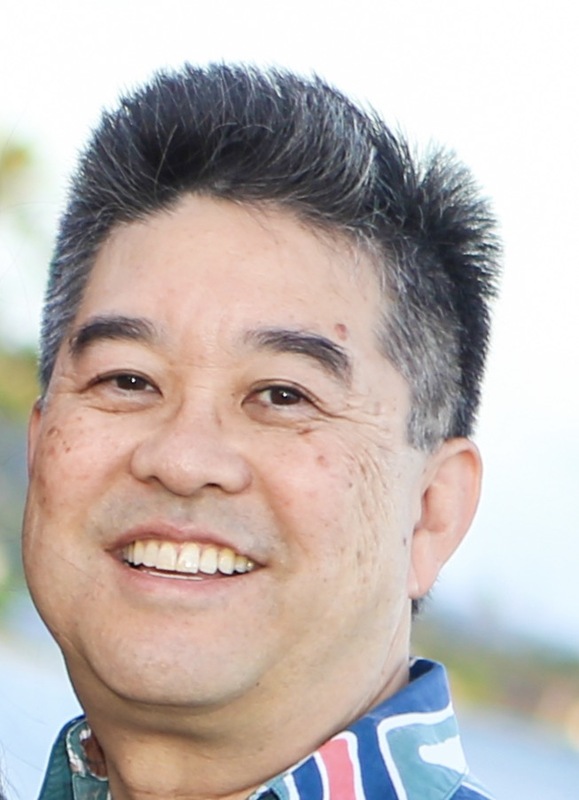 He currently serves as Chair of the Asian Pacific American Media Coalition, an umbrella group that includes the national JACL as one of its members. Dan is also the longest serving Board member of East West Players, the nation’s premiere Asian American theatre organization.